It is expected that the Trump administration will provide a boost to the infrastructure sector. He has already proposed spending $1 trillion on roads, airports, pipelines and the electrical grid. According to Donald Trump, it will pave the way for USA to create more jobs. The hedge funds and institutional investors have also followed suit and have shown signs of increased interest in the transportation stocks. 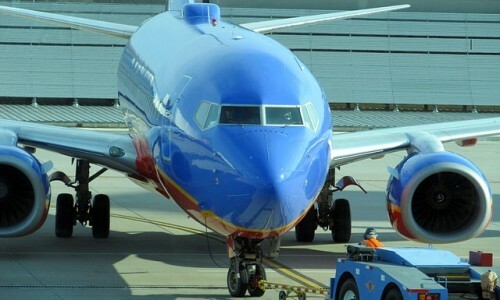 While there have been a lot of mergers in the US airline industry, the railway industry has also seen a number of merger overtures being made by the large players. Given below is a list of few airline and railroad stocks which billionaires love. Out of thousands of stocks that are trading on the market every day, it can be difficult sometimes to pick the right investment that can deliver market-beating returns. Here’s where our research comes in. By analyzing the equity portfolios of 700+ top investors, we can see what stocks they are collectively bullish on and use this data to compile a portfolio that can outperform the market. We have determined through this process that the best strategy is to follow the 15 most popular small-cap picks among hedge funds, which have delivered an alpha of around 81 basis points per month in our backtests covering the period between 1999 and 2012 (see more details). Delta Air Lines, Inc. (NYSE:DAL) witnessed billionaires increase their stake in it to $1.04 billion during the third quarter from $654 million in the quarter earlier. The number of such funds also increased to 11 from 8 and includes Israel Englander’s Millennium Management, Steve Cohen’s Point72 Asset Management and D.E. Shaw. According to its latest 13F, Warren Buffett’s Berkshire Hathaway Inc. (NYSE:BRK.B) owned 6.33 million shares of Delta Air Lines, Inc. (NYSE:DAL) as of September 30th. The stock is up more than 34% in the last three months and has an average rating of buy from most analysts. For the quarter ended September, the company reported a net profit margin of 12% and operating margin of approximately 19%. However, hedge funds seemed to have an opposite view on Delta Air Lines, Inc. (NYSE:DAL) with the number of bullish funds declining to 85 from 94 in the earlier quarter. They accounted for 16.6% of the company’s float as of September 30th. 10 billionaire funds reported having equity stakes in FedEx Corporation (NYSE:FDX), which remained constant quarter over quarter. However, the total value of their holdings increased to $2.28 billion in the third quarter, from $1.71 billion in the quarter earlier. Some of the billionaires reporting stakes in the company in the last round of 13F filings include Millennium Management and D.E Shaw, which bought 343,143 and 564,708 shares respectively during the third quarter. The stock has a consensus overweight recommendation and is trading very close to its yearly high price of ~$192. FedEx Corporation (NYSE:FDX) reported a quarter on quarter increase of approximately $2 million in revenues to $14.6 billion, for the quarter ending August. As per our database, the number of hedge funds long in FedEx Corporation (NYSE:FDX) also increased to 49 from 46 quarter over quarter, while the value of their holdings increase by $685 million.